A podcast about race and representation in Doctor Who with an asian lady from DC and a black lady from Baltimore. In this episode, we take a journey through the lives of the devilishly delightful Professor River Song. Like the Doctor, River regenerates – and in each life, she is someone different – the beloved Baby Melody Pond, the mischievous best friend Mel, the assassin built to kill the Doctor, the Doctor’s Wife. But who is River…really? Come with us as we explore River’s (lack of) morality, celebrate her agency, and swoon when the Doctor finally returns her love. It’ll be quite a ride. But remember: There might be…spoilers, so be careful. Oh! And Eugenia forgets her name, too! You should listen just for that! 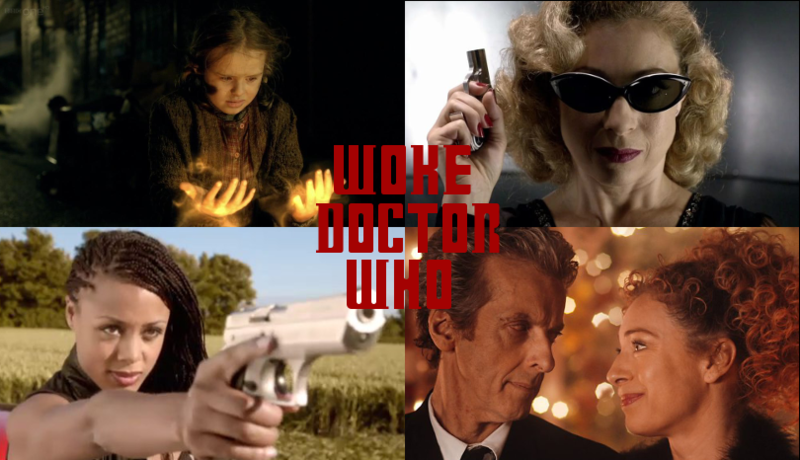 Copyright © 2019 Woke Doctor Who. Proudly powered by WordPress.